Antler lovers delight in this unusual rustic kitchen accessory. 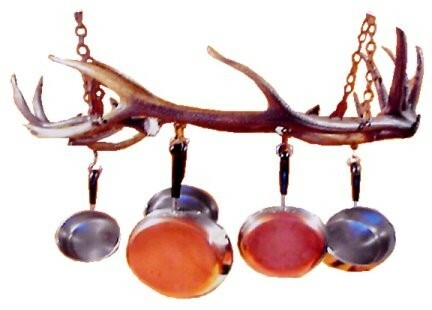 This Antler Pot Rack is constructed of elk and whitetail antlers. Made in the USA. Antler lovers delight in this unusual rustic kitchen accessory. 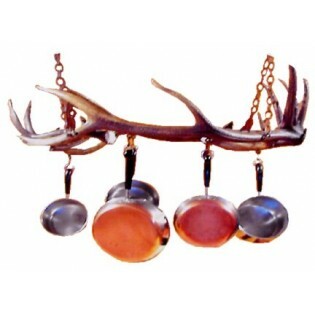 This Antler Pot Rack is constructed of elk and whitetail antlers, this pot rack measures approx 32" x 18" and includes 4-18" pieces of rust colored chain and 8 rust colored S hooks for your pots.